I have included a recipe for homemade corn tortillas using masa harina which is a bit tricky to come by in the UK but is available in some international grocers or online. The flavour from this very fine cornmeal is unrivalled by anything you can buy in the shop and is totally worth a little extra effort. 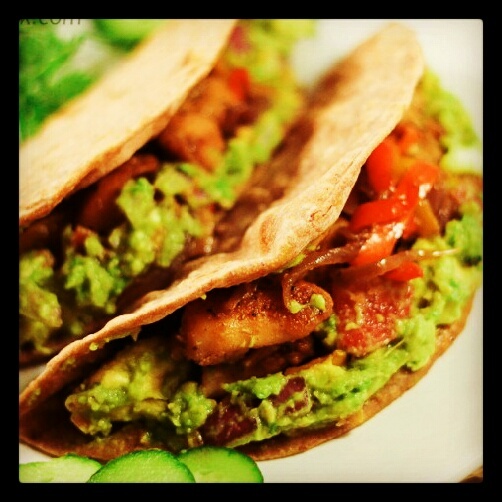 You can of course use shop bought tortillas – corn or flour – if you prefer. The vegetables in the salsa are grilled to char them before blending which gives a sweetness to the onions and garlic and a deep flavour to the tomatoes. Then there is the guacamole with creamy avocado and fresh citrus flavours. 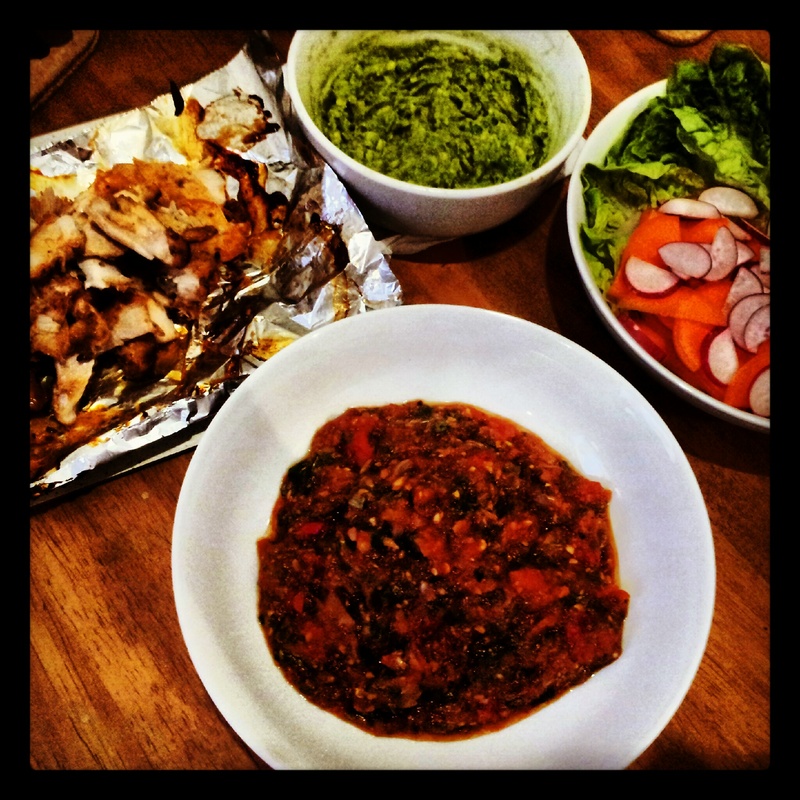 Splodged on top of zesty, spicy, smoky pulled chicken, what more do you need? Divide the dough into 24 balls. Cover and leave to rest in the fridge for 10 minutes. Flatten the balls of dough with your hands – alternatively, use a tortilla press or roll them between two layers of cling film. Flatten to approximately 3mm thick. 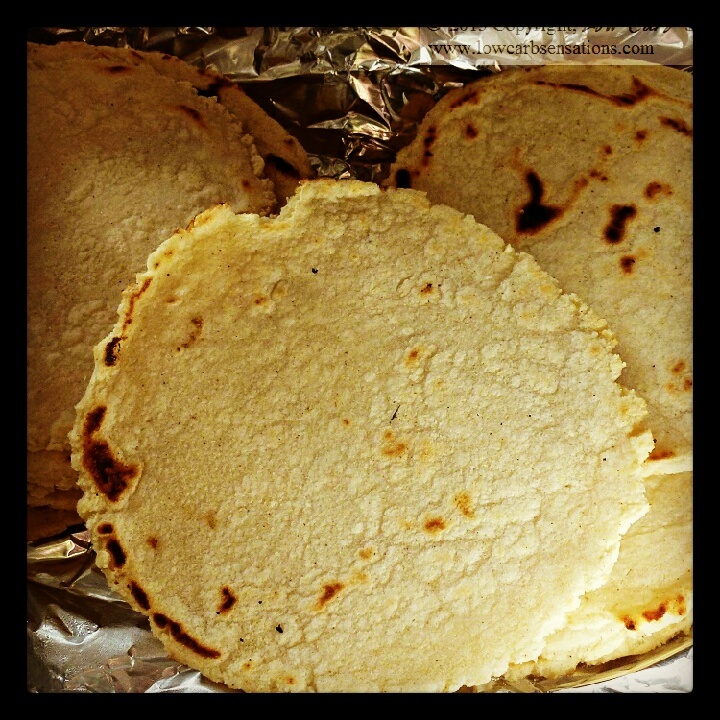 To cook the tortillas, lightly oil a flat griddle pan or frying pan and place over a hot heat. Cook the tortillas for approximately one minute on each side, or until lightly coloured. Cover in foil or with a damp towel until ready to serve. For the spicy shredded chicken, preheat the oven to 180C. Add all the dry ingredients and the lime juice and zest to a bowl. Stir to combine. Pat dry the chicken thighs using kitchen paper and then place the chicken thighs into the bowl and coat in the spice mix. Leave the chicken to marinate for at least an hour. Remove the chicken from the bowl, place the coated thighs on a foil lined baking tray and cook for 35 minutes, or until cooked through. Meanwhile make the roasted tomato salsa. Preheat the grill to high. Place the tomatoes, red onion wedges, chillies and garlic onto a baking tray. Lightly brush with oil. Place under the hot grill and cook until the tomato skins are blackened, approximately 10 minutes. Place all the charred ingredients into a food processor with the chipotle paste, coriander and lime juice. Pulse until a chunky consistency is achieved. Season to taste with salt and freshly ground black pepper. Set aside until ready to serve. For the guacamole, cut the avocados in half and remove the stone. Remove the flesh from the skin and roughly chop. Place in a bowl and lightly crush using a fork. Add the soured cream, lemon and lime juice and zest. Season to taste with salt and freshly ground black pepper. Set aside until ready to serve. For the spicy shredded chicken, once the chicken is cooked set aside to cool. When cool enough to handle, remove the meat from the bone and shred. To serve, simply place a dollop of whichever fillings you desire (I recommend a bit of everything… yolo) into your corn tortilla and apply to face!